Clicking on the Desktop Icon will open the program. Enter in your email address followed by your password. POOL can be set to remember your password to prevent you having to reenter your information every time you log in. When you have entered your password, click the "Sign In" button, and POOL will start. There will be a very short delay as the system updates with the latest releases. The Releases Tab lists all media available to you. You can sort your tracks by clicking on the various titles in each column. You can adjust the width of each column, or change the order they are displayed as required. 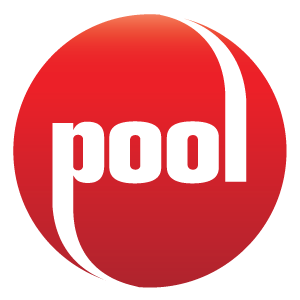 When you select any track in POOL, you can view additional information about the selected track by viewing the Track Information window at the bottom of your POOL Player. When you select any track in the available track menu, additional information will be displayed in this window. Track information includes all the track information and promotional images and any other promotional attachments for the selected media. From this tab you can also listen to a preview of the track, or download the audio for the track, by using the buttons on the left side of the tab. More Infomation Tab: Selecting the "More Info" button will open up the More Info tab. The More Info tab will open up any additional promotional information relating to a release. This page will display in the main window and can link to any webpage set by the record label that created the release. POOL gives you the option to download every track of a release without having to choose each track individually. To download an entire release you simply have to check the box next to the release listing. Alternatively, you can download individual tracks by clicking the name of the releases and using the checkboxes in the bottom panel which correspond to individual tracks. Checking any track in the main window will add the checked track to the download queue. Your current downloads can be viewed by choosing the "Download Queue" tab. This tab will allow you to monitor your download progress and manage the order of your downloaded tracks. Download Location: To set your default download location, select the "Change" button and you can set your download location to whatever you desire. Whatever location you set here, will determine where your downloaded files will be placed on your hard drive. Filenaming Options: Using this tool you can name your downloaded files however you like. Default File Type: To set your default file type in the Preferences menu go to the pull down "Default File Type:" menu and you can choose between Lossless m4a format and 320 kbps mp3 format. The POOL player allows you to search Promo Only’s database for specific media. The search feature is located on the upper central area of your player or by using the Search Tab for more specific results. The search function will only show you content that you have subscribed to.